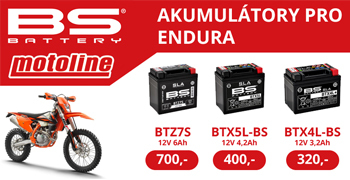 TMracing jako druhá oznámila vstřikování pro Endura 250/300 2t + e-stater pro 2t endura a MX 250/300. Vstřikování paliva má TM shodné/podobné jako KTM TPI. Hand finished crankcases, lightweight and strong die-cast clutch casing, clutch inspection, water pump and ignition covers, cast water pump rotor, billet machined crankshafts running on roller bearings with ‘hi-tech’ crank-seals, forged piston (250cc), friction reduction coated piston (300cc), high performance – long lasting clutches, ‘cush-drive’ clutch baskets, friction reduction hard coated clutch baskets, friction reduction hard coated gearbox selector fork tips, hardened gear-shaft parts (new main shaft), MX / EN differing ratio gearboxes, hydraulic clutch actuation, V-Force reed blocks, Keihin Carburetors (MX/SMX/FT), Fuel Injection with twin injectors and separate electronic control oil distribution (EN models), Electric start, Balancer shaft, HGS Exhaust systems (with plated expansion chambers on EN / Road models), TMEES electronic exhaust valve control, Kokusan digital variable advance ignition with twin map selection, gear position sensitive variable ignition timing. The large capacity TM Racing 250cc and 300cc 2-stroke engines are synonymous with strength and durability, with each capacity engine having its own unique qualities in the terms of performance and power delivery characteristics. For 2019 the engines have had a total re-design and feature multitude of new and exciting additions to increase performance and ease of use for the rider. Whilst retaining many well proven internal components, from the exterior, the engines have a whole new look and share little in cast components with the outgoing engine. The complete re-design has been produced to accommodate numerous changes, changes that include electric start on all models, alongside a fuel injection option on EN models with a digitally controlled oil distribution system, whilst carburetors remain on the MX / SMX / FT models. A revised gearbox assembly also features, with friction reduction coated and treated parts to ensure smooth and precise shifting. We also have the addition of a balancer shaft to reduce engine vibration giving smoother performance, better ‘feel’ and a reduction in rider fatigue. The gear position sensitive ignition works alongside the TMEES exhaust valve control system, which also features a new operational control system, that will see the servo mounted to a new cylinder and working directly to a new pulley system. Revised electronic control programming, alongside the handlebar mounted twin ignition map switch, allows the power delivery for each of the 250cc and 300cc engines to not only be tailored by the rider on track, but the electronic systems also make alterations to the mapping depending on gear selection, valve position, rpm (and communication to the fuel injection system where applicable), ensuring the best power delivery and traction at all times. 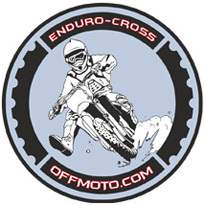 A system that is proving to be great for the hole-shot and those slippery rock sections alike, depending on machine and discipline of course, thus allowing the engine and control systems to give the rider the required power and torque at the required time, giving the best in traction in all conditions. Constructed from some of the best materials for maintaining performance and reliability these already class leading engines that produce incredible, yet usable, controlled power and torque combined with quality ancillary components, have taken themselves to a new level. Power delivery, rider comfort and ultimate outright performance is optimally tailored in each discipline in all conditions in a way never seen before in off-road 2-stroke engines.